Our independent registered voter group supports Ms. Jean Schodorf for Kansas Secretary of State for reasons mentioned in the New York Times below. Schodorf is a true moderate that will restore sanity to the Secretary of State's office. Schodorf is formerly Republican, now running as a Democrat. "Ms. Schodorf, a former Republican state senator who switched parties after a purge of legislative moderates by Governor Brownback, accused Mr. Kobach of creating a “mess” in the secretary of state’s office while traveling the country to pick ideological fights. These include lobbying the Texas Legislature to allow shooting feral hogs from helicopters. 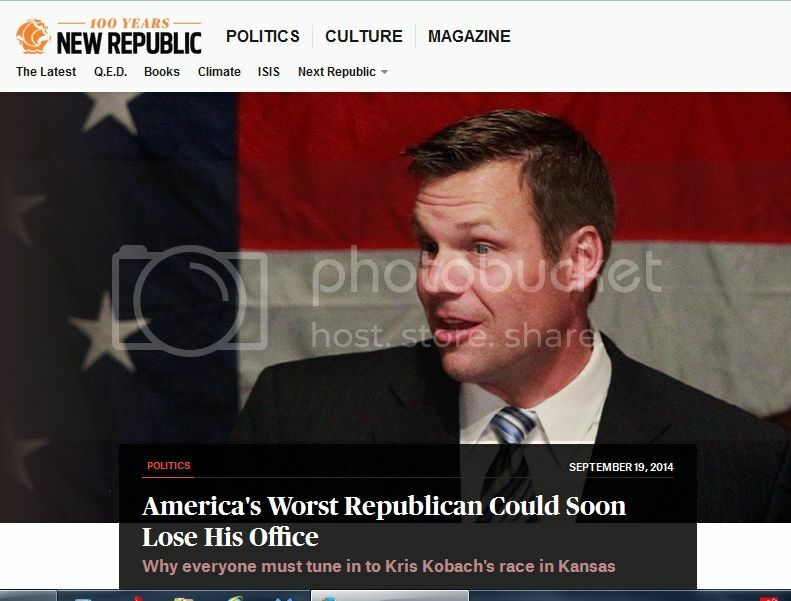 If Mr. Kobach loses his job, said Burdett A. Loomis, a University of Kansas political scientist, it will be because of perceptions he has overly politicized his office. “That’s how Democrats win in a state like Kansas,” he said.